It’s handy if you find or someone else finds it difficult to hit combination keys like Ctrl + Shift + Esc. THERE ARE QUITE a number of accessibility features, but one that might have popped up every now and again is Sticky Keys. Chances are you may have accidentally activated it at one point (it’s been a feature ever since Windows 95 was released) but Sticky Keys is useful if you find hitting different key combinations difficult. Alternatively, you can go to Control Panel/Settings and look for Accessibility or Keyboard or if you’re using Windows 8, bring up the Start menu and type in Easy of Access). If you end up on the Ease of Access Centre screen instead of Sticky Keys directly, look for the option ‘make the keyboard easier to use’ and click it. Here you will see accessibility options including turning on mouse keys (using your numeric keyboard to move it around), but what you want to look at is the easier to type section. Keyboard accessibility options on Windows 7. Turn on sticky keys: the next time you have to press a key combination (like Ctrl + Alt + Delete), you will only need to press one key at a time instead of all three simultaneously. 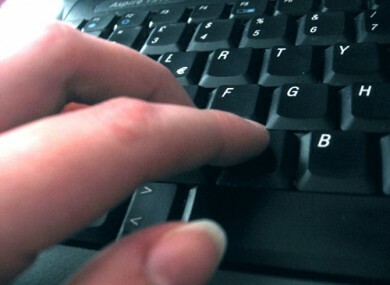 Turn on Toggle keys: Whenever you press Caps Lock, Num Lock or Scroll Lock, it will make a noise telling you it’s on. Turn on filter keys: This can do two things. You can either turn on repeat keys and slow keys so that it only recognises a button press when you hold it down for a certain amount of time. The other option is to turn on bounce keys, which ignores repeated keystrokes for a certain amount of time. Email “Find keyboard shortcuts a little difficult to do? Turn on Stickykeys”. Feedback on “Find keyboard shortcuts a little difficult to do? Turn on Stickykeys”.